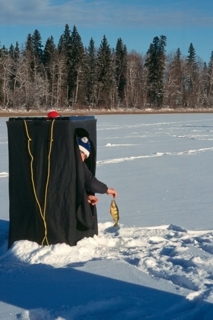 It’s ice fishing season which brings all kinds of opportunities to catch many species of gamefish. 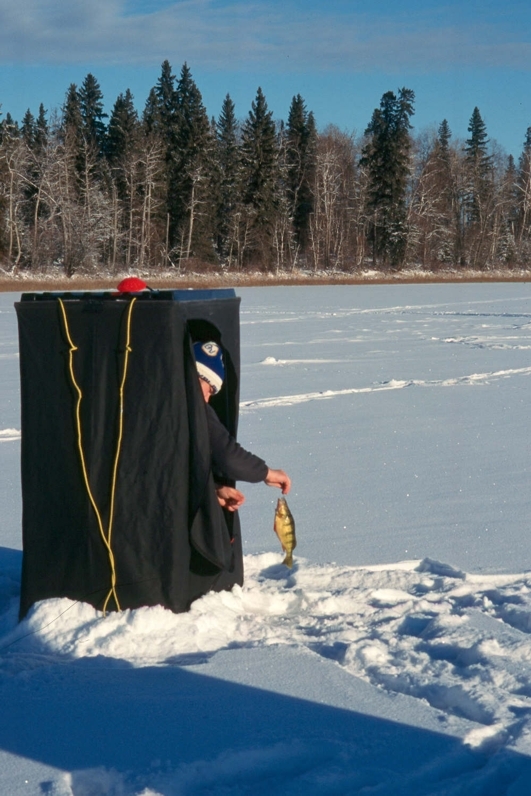 One year I even caught an arctic grayling through the ice while fishing Edith Lake for brookies. One of my favourite fish species during the winter months is the yellow perch and, over the years I have caught a pile of them. Sometimes I catch them deliberately, like when I fish Calling Lake out deep, but other times I catch them incidentally. 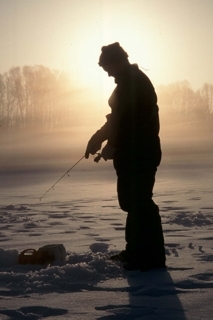 Several seasons back I was ice fishing Baptiste Lake with fellow writer and friend Kevin Wilson. We were actively hunting walleye and our search had taken us to drop offs, over points and to places where other people were fishing. Finally we pushed into real shallow water over an expansive flat where no one else was set up. I was jigging a quarter ounce jig with a minnow when I got my first strike. 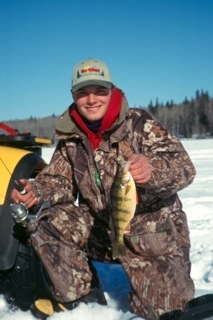 I pulled up a chunky fish only to see bright red fins and the huge bar markings of a fully mature yellow perch. My eyes bugged out as I tackled it. It measured thirteen and a half inches and weighed about a pound and a half. The water was three feet deep. This taught me a big lesson and over the years I’ve caught many big perch up shallow including ones at Devil’s Lake, Utikima and Faucett. In every instance I caught these jumbos in skinny water, typically six feet deep or less. While I don’t find great fishing for shallow water perch in every lake, I have found them in enough to be on the lookout. The one consistent is that I catch most large shallow water perch on walleye gear and on occasion, tip ups meant for pike. Minnows catch their share of big perch, but I’d have to say meal worms catch the most. This may seem contrary to the norm of using maggots for perch but let me clarify. I have caught an amazing number of perch over the years and even some big ones using maggots but if it’s only big perch I’m looking for, I look shallow and move on to larger baits. 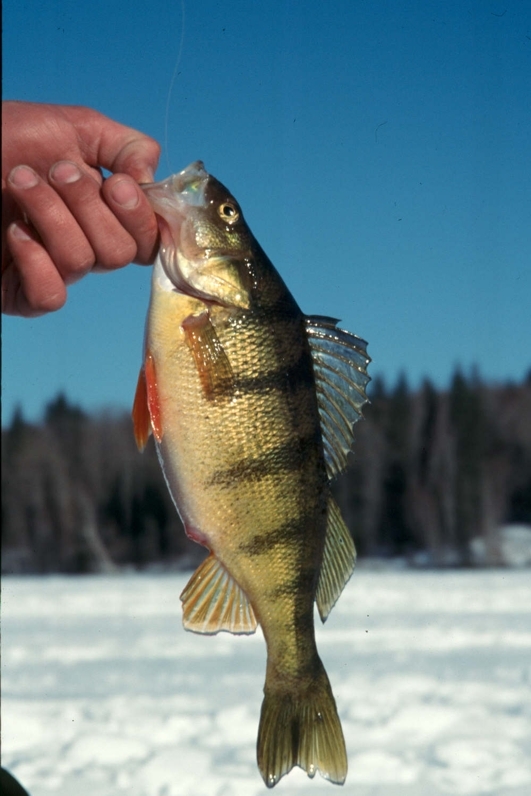 Big perch like big baits. Just watch out for them pesky walleye. They like to come in and eat the same stuff. What a terrible distraction.